This Lent, we invite you to join Christ on his final earthly journey as we rediscover the very reason we remember and undertake this same pilgrimage year after year. 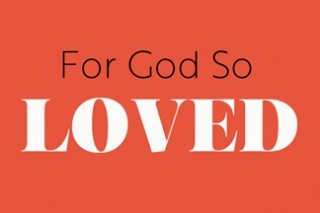 We will be utilizing the daily Lenten devotional For God So Loved throughout this season. As a part of this, we invite you to join us for The Gathering, Sundays at 9:30, for further study and reflection. This will also tie in to our sermon series Sunday mornings from March 10-April 21. The mission of our spiritual life ministry is to make disciples who are growing in the knowledge and likeness of Christ and to equip them for the work of ministry. 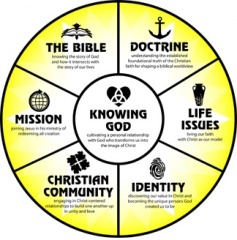 To guide us in that mission, we have developed a model that identifies seven key areas of discipleship. We believe that it is God's desire for his church to grow in every way more and more like Christ, and in doing so, to be better equipped to share him with the world around us (Eph 4:11-16). As we give intentional focus to each of these discipleship categories, we allow God to use every opportunity to form us spiritually for his glory. Click here to view our discipleship model. Faith is a journey. To grow, we need to go deeper. We believe this happens when we move toward more authentic relationships with Jesus and one another. That's what Life Groups are all about: growing closer to others and to Jesus so we can become more like him. Are you ready to grow? 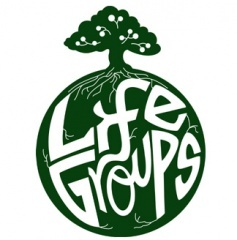 Our Spring season of Life Groups will be launching April 7. Now is a great time to get connected! Whether it's joining an existing group or being a part of a brand new one, we invite you to stop by our Life Groups table or contact Pastor Mike to get more information and get signed up. Men of all ages are invited to join us for food, fellowship, and a brief lesson. This event takes place at 8:00 a.m. on the second Saturday of each month in the cafe of the church building. 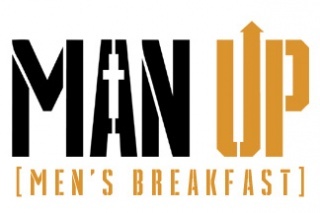 This is a great opportunity to be encouraged and meet other men in the church.